In a world that’s forever set on fast-forward it’s never been more important to find time to relax and slow things down. That’s why we created this luxurious collection. Combining bold styling with contemporary luxury it transforms your bathroom into a highly desirable retreat. Where beauty and escapism go hand in hand. Solid timber frame with real wood veneer panels. Please allow for shade and pattern variations with natural products. 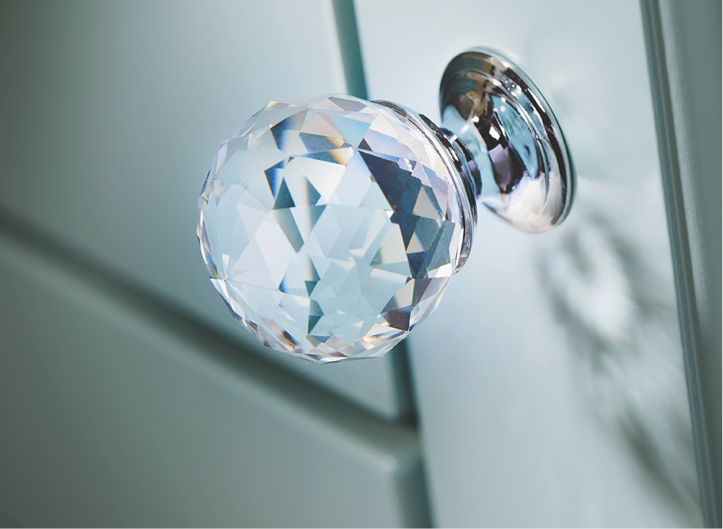 Give your cloakroom the wow factor! As the smallest room in your home, the cloakroom is often overlooked. However, it’s probably the most visited room in your home by your visitors. 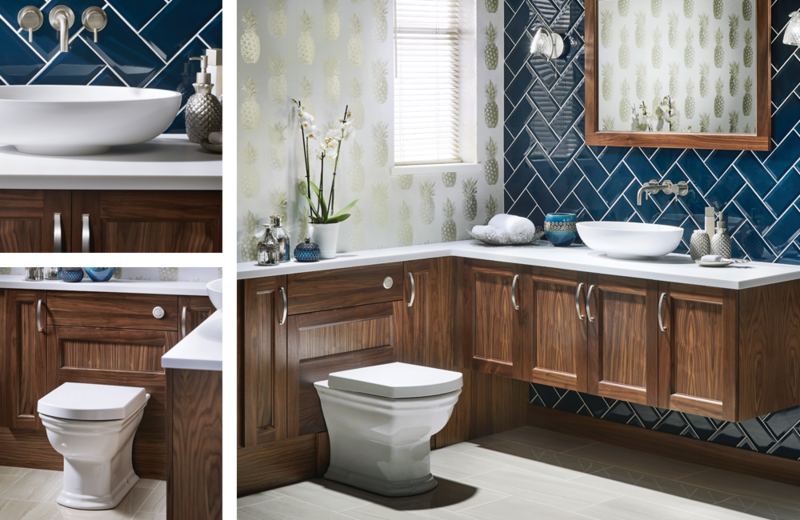 Create a focal point in your cloakroom, be it with feature tiling, a sit-on basin, an oversized mirror or indeed all three? A bathroom or en-suite should have a tranquil feel, easily achieved by the spatial arrangement of the furniture. The symmetry of the units used to create the washbasin station is echoed by the toilet unit run of furniture, to ensure a cohesive and calming feel. Such a lovely colourway for any cloakroom, Classic Aqua units with raised and fielded doors, make for a quintessentially English room. The contrasting Corian worktop features a striking marbled grain to further add to the charm of this very pretty cloakroom. A family bathroom needs to be carefully planned to maximise storage space. 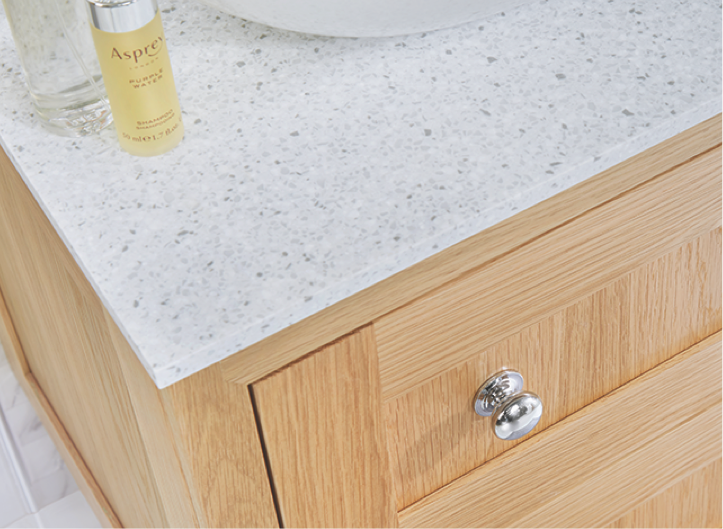 The extra deep washbasin unit features a stunning Corian worksurface with fully integrated under mounted basin, which continues over the toilet unit to offer additional worktop storage space.